Eco Lifestyle Villages are committed to creating a friendly, over 45’s community with the best of country town living. ELV is managed by H&H Development Enterprises, with the Northam village already undergoing development and another village planned for Gingin. 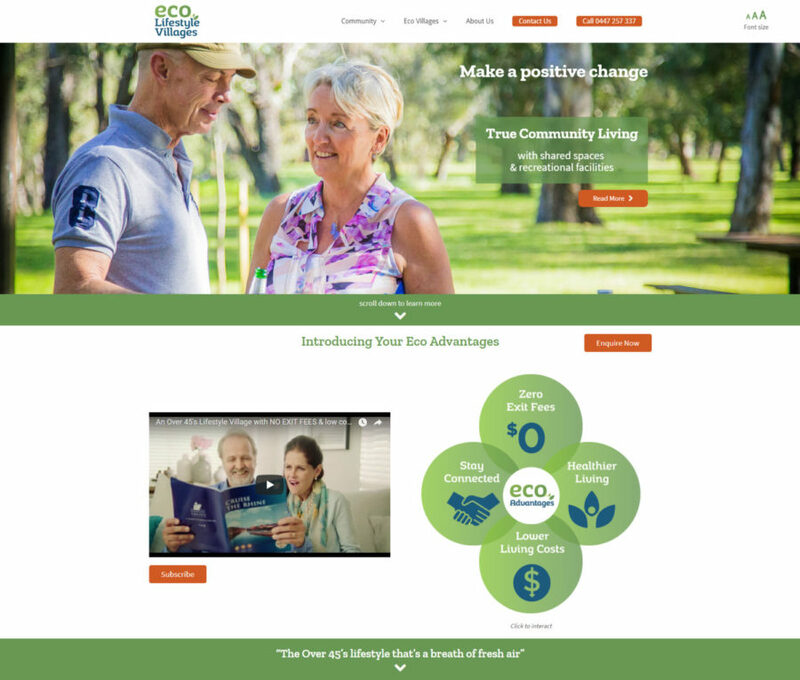 The main website for Eco Lifestyle villages outlines the general values of all of the villages, with individual websites dedicated to each village location. The first being Northam. For this we set up WordPress to run a multi-site network so that our client can expand without having to purchase more hosting & domains for each new location’s website.